PERHAPS, if the Federal Government he served four times as minister had listened to him and taken his proposals as road-map for the development of the Niger-Delta region, and indeed, other parts of the country, maybe much of the pain the nation experienced, and is still experiencing could have been avoided. That was not to be; the entire nation, especially its leaders could not see gold elsewhere, except in crude oil. Today, a costly clean-up of Ogoniland is in the works, and is estimated to cost a whopping US$1 billion. Before then, however, Alabo Tonye Graham-Douglas had always been interested in projects and ideas that could engage masses of youths and keep them gainfully occupied for the benefit of the society. In 1986, after he was appointed Commissioner for Youths, Sports and Culture in Rivers State, and it was during his tenure that a government event centre was completed and named after the first military governor of the state, Alfred Diette-Spiff. Diette-Spiff is now a traditional ruler, the Amanyannabo of Twon-Brass. On the heels of this, our person initiated, nurtured and gave life to the first carnival in Rivers State, called Carnival ’88, with the theme, Unity in Cultural Diversity. In 1989 the military government of President Ibrahim Babangida appointed him Minister of Social Development, Youths and Sports. Later, a re-organization of the federal apparatus saw the creation of a new ministry, the Ministry of Women Affairs, and he was moved to the Ministry of Aviation where he oversaw the deregulation of the aviation industry. This Kalabari chief from Abonnema, a four-time cabinet minister, was, from 1989-1990 the Minister of Social Development, Youths and Sports, Minister of Aviation from 1990 to 1992, Minister of Employment, Labour & Productivity from July 1999 to to July 2000, and Minister of Culture and Tourism from July 2000 to January 2001. Ahead of his ministerial appointments from 1999, he aspired to rule the country as a presidential aspirantbeen chairman of the Southern Minorities Movement, one of the disparate entities that eventually merged to form the PDP. In the party’s primaries, he lost to General Olusegun Obasanjo, who went on to become president. His recognition quotient on the national landscape is not in doubt when his antecedents are taken into account, especially when it is recalled that his brother was the nation’s first indigenous Attorney-General, the late Dr. Nabo Graham-Douglas. Alabo Tonye Graham-Douglas, an Ijaw man, was born on May 8, 1939 in Abonnema, Akuku-Toru Local Government Area of Rivers State. He attended schools in Lagos and Port Harcourt. He also studied at Acton Technical School, London, from 1963 to 1965 and later at the University of Lagos, graduating in 1969 with honours degree in Botany and Zoology. He worked with the Nigerian Petroleum Refinery Company, Port Harcourt, and later became managing director of Togiscani Nigeria, a construction company from 1978–1985. He was also CEO of Road Haulage Company and Magroad Enterprises and was also chairman of the Binterteco Nigeria, Pabod Finance and Investment and Waterglass Boat Yard. 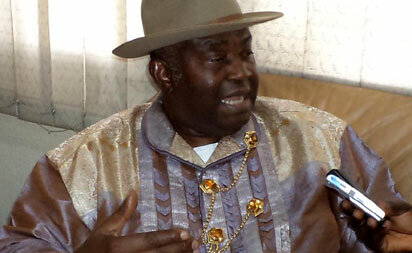 As he progressed in age, he took more interest in issues affecting the Niger Delta region, and his ethnic nationality, Ijaw, working in tandem with known and revered personalities like Ijaw national leader, Chief Edwin Kiagbodo Clark, and has been very instrumental in helping government manage agitations in the Niger Delta Region. The post Tonye Graham-Douglas: Creative leader who strives for worthy causes appeared first on Vanguard News.